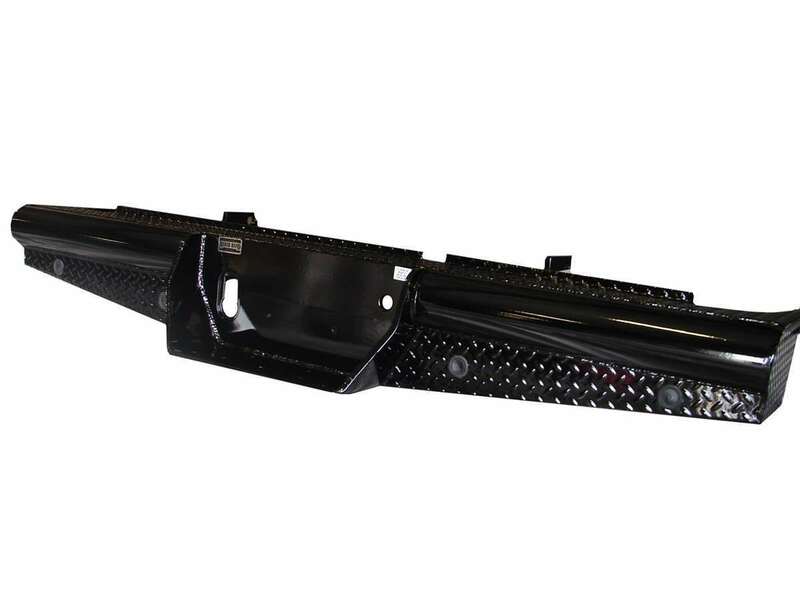 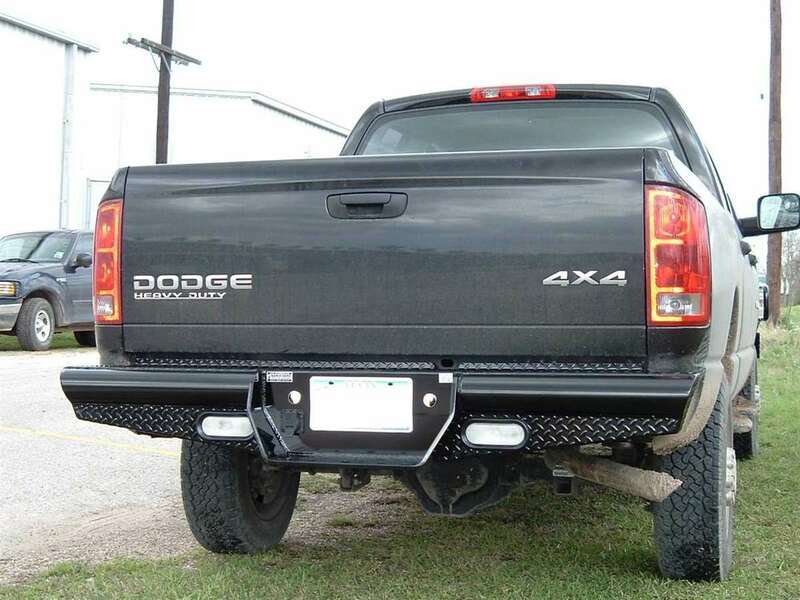 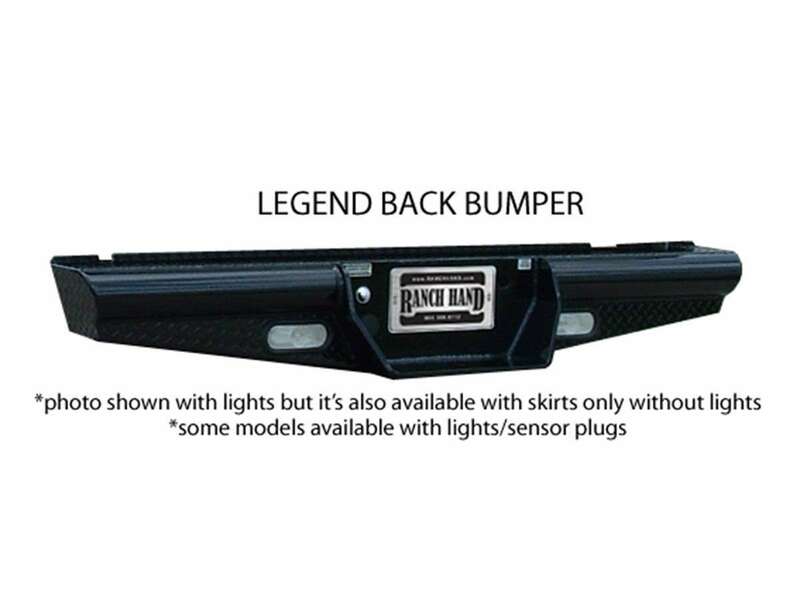 The Legend Series Rear Bumper Replacement is the toughest product on the market. It is frame mounted and is one piece fully welded construction. The main body of the bumper is manufactured from 4" schedule 40 pipe and diamond plate steel, and the grille guard portion is composed of 12 gauge tubing providing wraparound headlight protection. 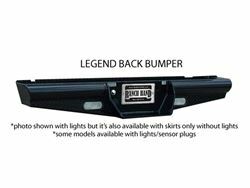 This bumper is a valuable addition to any vehicle and will provide maximum peace of mind when driving down the highway.